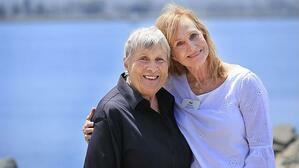 Borne out of personal connections to homelessness, White Sands la Jolla resident Lois Ream and activities director Pat Guerrero have visited the Mission Bay weekly to hand out protein-rich food such as hard-boiled eggs and string cheese. They’re now known as “the egg and cheese ladies.” Their story was originally featured in the newspaper in April 2018. 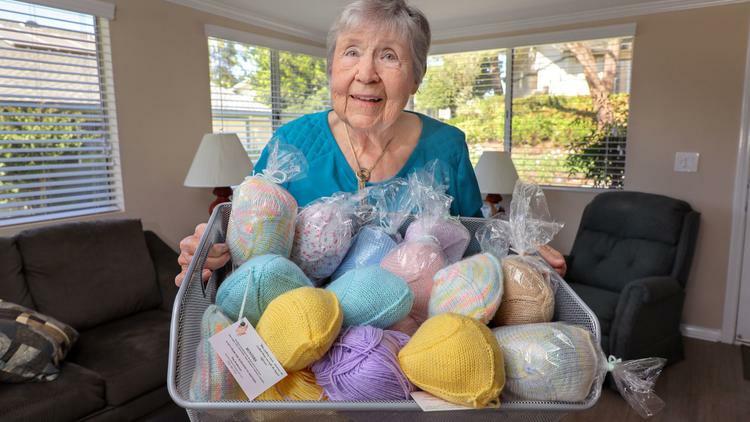 And at Redwood Terrace, resident Pat Anderson can spend almost half of her day knitting. But Anderson, a breast cancer survivor, knits with a purpose creating lightweight breast-shaped bra inserts for women who’ve undergone a mastectomy as the result of breast cancer. Her story was originally featured in the newspaper in September 2018. Discover more about how these ladies are making a difference and living with purpose by clicking here. Redwood Terrace in Escondido, California, is owned and managed by HumanGood, a nonprofit public benefit corporation serving older adults since 1949. State of California License #374600566, DHS License #080000145, Certificate of Authority #299.